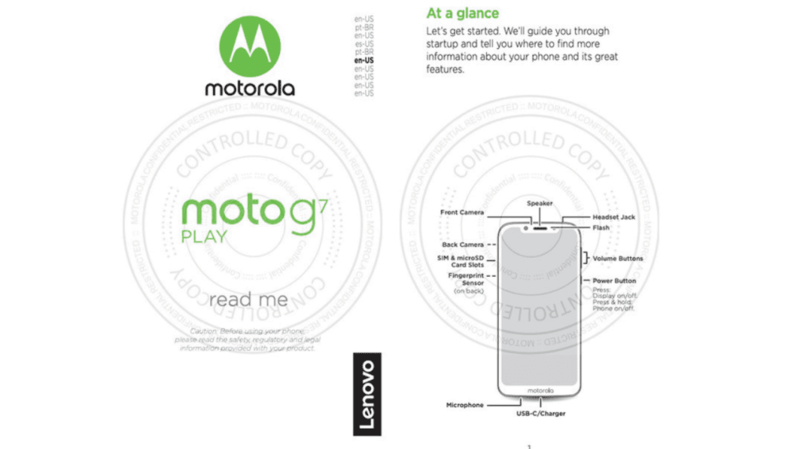 A couple of days back Motorola G7 Play surfaced online and now the image of the device leaked. The FCC has posted its filings for the device and has revealed plenty about it. The most notable feature is the notch on the display, which isn’t unexpected but also marks the trickling down of the design from flagship phones to midrange phones. In that notch, there can be found a speaker, front camera, and a flash for illuminating selfies. 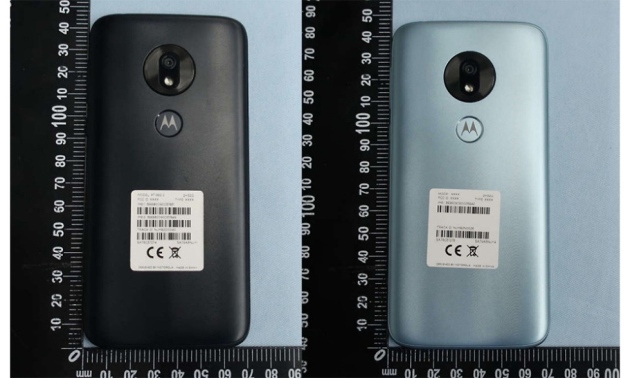 From the image, we can see the device in Silvery Blue and the design is similar to the aesthetic that Motorola uses on its smartphones. On the rear, we can find a fingerprint sensor under the company’s logo and also camera sensors along with LED flash can be spotted on the back. On the front side, we can see a display notch which also houses a front facing camera, earpiece, and sensors. Although we do not have any information on the MP of these cameras used on the device. Furthermore, the image does not reveal the notch clearly in the photos but it is clearly visible on the manual given. We all know that the Moto G6 Play came with a big 4000mAh Battery but the FCC filing reports that the new G7 Plus will be featuring just 2820 mAh battery. We expect the battery size to be changed before the actual product gets launched. The new phone of the Motorola will be powered with a Snapdragon 632 chipset along with Adreno 506 GPU which is a bump over the 400-series used on its predecessors. The device will have the normal headphone jack along with USB-Type C port and also a microSD card slot to extended the memory. According to the reports, the device will be working on GSM carriers as the radio and LTE bands are supported by the Moto G7 Play which indicates that the device will run fine on all the major networks. In the coming week, we can expect more leaks and details of the device surfacing online and we will be bringing you on App Gyaan.